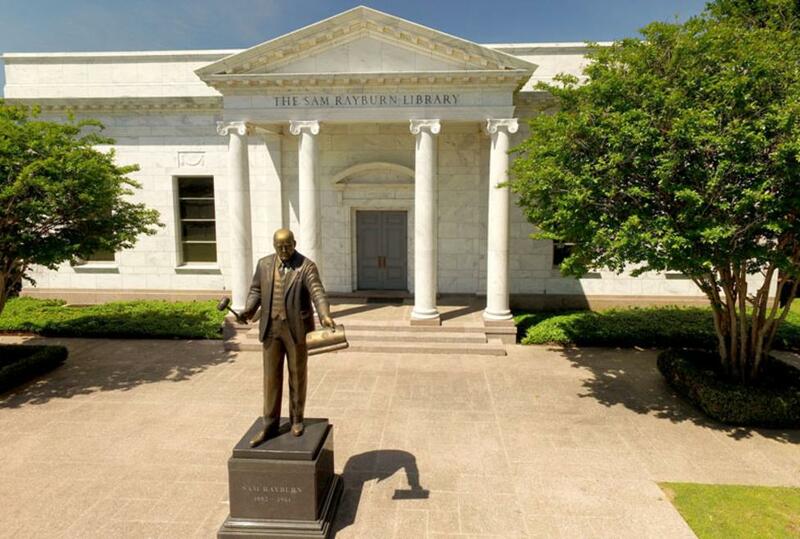 Sam Talliaferro Rayburn, affectionately called Mr. Sam by his colleagues and friends, had the Library Museum built in 1957 as a tribute to the people of Fannin County who had supported him through all his years as a US Congressman. Mr. Sam served under eight presidents and was Speaker of the House for sixteen years. 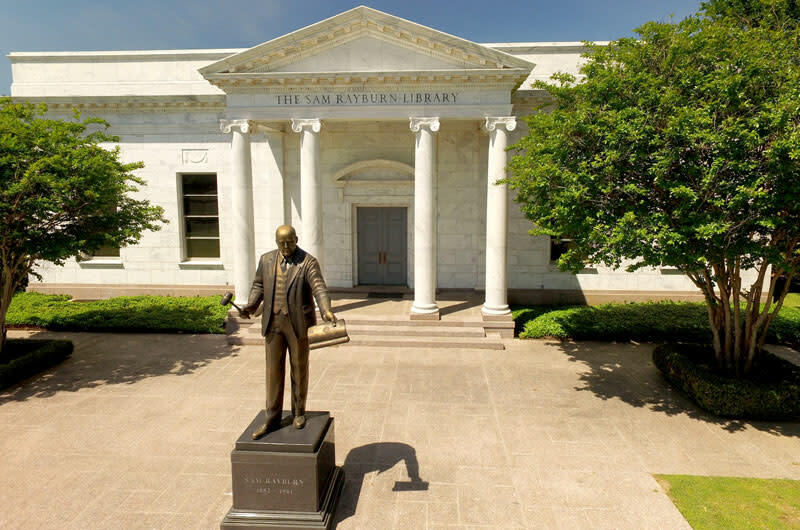 The Library Museum contains exhibits on Sam Rayburn's life and career and has an exact replica of the Office of the Speaker of the House when he served in that position. It also contains his personal library. The Library is open Monday - Saturday and will accommodate large groups for tours with notice as well as individuals.